Ready to book your class? Choose a class and select a date from the menu below. Official California Initial And Renewal CCW (Concealed Carry Weapon) Classes For The: El Dorado County CCW Permit, Placer County CCW Permit, Sacramento County CCW Permit, San Joaquin County CCW Permit, Sutter County CCW Permit and the Yolo County CCW Permit. Comparable Firearm Safety Training Instructor Course (For retailers needing DOJ certification to issue Firearm Safety Certificates). Call for dates and info. Training Refund/Cancellation Policy: Lock n Load Concealed Carry will reschedule your class one-time without a cancellation fee if rescheduled prior to 48 hours before the class. If rescheduled within 48 hours of the class or rescheduled more than one time there is a $25.00 rescheduling fee. If you do not want to reschedule full refunds can be issued for cancellations made prior to 7 days before the class minus a $10.00 service charge. There are no refunds issued for cancellations made within 7 days of the class. No-shows the day of the class are handled at the discretion of Lock n Load Concealed Carry. These are Official CCW Courses that have been approved by each County Sheriff’s Department and satisfy all training requirements necessary to obtain your California CCW. Residents of El Dorado, Placer, and Sutter Counties are required to take a minimum of an 8 hour training course to qualify for their Initial CCW permit. Residents of Sacramento, San Joaquin, and Yolo Counties are required to take a minimum of a 16 hour training course to qualify for their Initial CCW permit. A 4 Hour Renewal Class is required every 2 years by all counties to renew your CCW permit. Note: Even though you receive your permit from your county sheriff it is a statewide permit. You can carry throughout California, (except in restricted areas). There has never been an easier time to get your CCW Permit in these counties. The permit application process can be started by going online to your sheriff’s website, filling out and submitting the application and scheduling an appointment. During the initial interview they will ask you for a good cause statement, in most cases “Personal Protection” is an acceptable answer although Yolo county will require more reason. This is the Utah non-resident concealed weapons permit. This permit allows for the legal carrying of a loaded, concealed handgun in 32 states, (INCLUDES NEVADA BUT DOES NOT INCLUDE CALIFORNIA). This permit is an easy keeper, the class is generally about 4 hours long and is taught at our training facility in El Dorado Hills, CA. There is no range shooting required, the entire 4 hours is classroom only. The permit is good for 5 years and has a $15.00 renewal fee. We generally hold this class once a month on a Saturday evening. 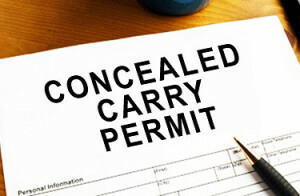 The non-resident Utah CCW Permit is honored in the following 32 states: Alabama, Alaska, Arizona, Arkansas, Delaware, Georgia, Idaho, Indiana, Iowa, Kansas, Kentucky, Louisiana, Minnesota, Mississippi, Missouri, Montana, Nebraska, North Carolina, Nevada, North Dakota, Ohio, Oklahoma, South Dakota, Tennessee, Texas, Utah, Vermont, Virginia, Washington, West Virginia, Wisconsin, and Wyoming. PROTECTING YOUR HOME AND FAMILY: $99.00 for the first family member, $49.00 for each additional family member living at same household. This is a 3+ hour class on home protection. It covers the topics of home intrusions and violent crime, how to prevent them, and how to survive and live through them. This class is designed for women, men, and young adults age 14 and older. We cover these topics and many more so that you can be informed and prepared to protect yourself and your family. Safeguard your home from being Targeted for crime. Learn secure ways to restrict criminal entry. Know your Legal Rights to defend and protect yourself, your family, and your home. Develop a Family Plan to defend against home invasion. This 4 hour class is a must for all beginners ages 14 and up. Learn the Right Way and the Safe Way from the very start. Operate Revolvers and Semi-Automatic Handguns. Proper grip, trigger control, sight alignment, and follow through. Shoot 100 rounds at the range. This is a Fantastic Range Course that transforms the shooter from Target Shooting to Self-Defense shooting. Make your first defense shot count. You will learn to shoot fast and straight without using your sights while taking out two assailants. We will get you GOOD with your gun. This is one of the best handgun classes you will ever take. You will need your gun and 200 rounds of ammunition. This class can take up to 3 hours. (We have 9mm semi- automatic pistols for rent if you do not have your own gun). In this Range Course you will shoot multiple assailants, perform emergency reloads, shoot from behind barriers, simulate night time shooting, and much more. You will need your gun and 200 rounds of ammunition. This class can take up to 3 hours.